Co-founder of East-West Digital News and Blockchain Connectors. Startup and fund advisor. Writer and speaker. Editor’s note: This article from East-West Digital News penned by Adrien Henni was syndicated with permission. Tech investment volumes Russia and its Eastern European neighbors were modest last year, if compared with the Chinese, US or Western European markets. However, the year was marked by giant corporate deals involving international players while a series of smaller venture transactions illustrated the diversity of the regional innovation scene. 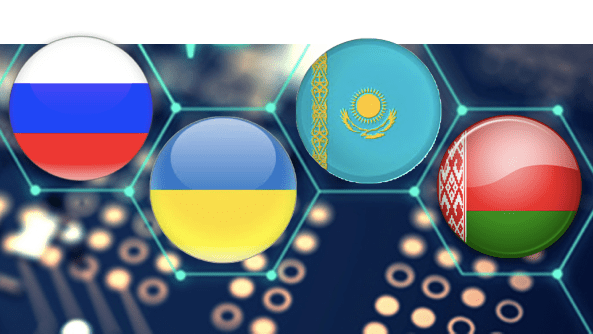 In this review, which encompasses Russia, Ukraine, Belarus and Kazakhstan – all former republics of the Soviet Union where Russian language still dominates business life – East-West Digital News chief editor Adrien Henni offers a glimpse into local tech investment activity and its international implications. Last year was marked by several important corporate moves involving foreign players. In February Yandex, the NASDAQ-listed Russian search giant, and Uber completed the merger of their taxi-hailing activities in the region. The combined business was valued at some $3.8 billion on a post money basis, with a 53.9% stake for Yandex and 36.9% for Uber. Far from retreating, French carpooling giant BlaBlaCar consolidated its leadership on the Russian market. In August 2018, it acquired BeepCar, a competing service launched by LSE-listed Mail.Ru Group the year before. Among BlaBlaCar’s investors is a major Russian PE firm named Baring Vostok. Mail.Ru Group, meanwhile, invested $26 million in Citymobil, aiming to compete with its archrival Yandex in the taxi-hailing service market. The move illustrated the growing appeal of Russian e-commerce in investors’ eyes. According to a Morgan Stanley research, this market could exceed $50 billion by 2023 – up from around $18 billion in 2017 (physical goods only). Also in the running, Yandex has teamed up with Sberbank to create a huge e-commerce platform, based on a $500 million investment from this leading state-owned financial institution. As a result, two marketplaces were launched in late 2018, in addition to the existing marketplace Yandex.Market. Sberbank, the state-owned banking giant, also launched a joint-venture with Rambler & Co and UCS to a create multifunction food service platform. On its side Ozon, a major player also inspired by the Amazon model, announced plans to raise several hundreds of million USD in equity in the first half of 2019. The capital injection may come either from Ozon’s existing shareholders (among which are Baring Vostok, a major Russian PE firm, the conglomerate Sistema, and telco MTS), or new investors, including foreign ones. An investment from Baring Vostok in e-learning platform Skyeng at a $100 million valuation. A number of smaller deals involved domestic private or public funds. The most prolific investor, IIDF (FRII), backed more than 360 startups since fund launch in 2013. Several deals involved large Russian corporations. For example mobile operator MTS acquired two event ticketing companies and an eSports club – in addition to its participation in YouDo’s round of funding – in a strategy to develop products outside the traditional telecom sector. An investment of up to $1.5 million brought by Austrian fund Speedinvest in AI startup Conundrum. Some foreign corporations were also in the game, including Japan’s Mitsubishi, South Korea’s Cosmo & Company, and several French, Austrian and US companies chasing Russian startups. Meanwhile, French accelerator NUMA injected small amounts in half a dozen startups, while 500Startups helped Sberbank launch an internationally-oriented accelerator. Total foreign investment in Russian startup has been estimated at slightly more than $200 million over the year (source: RVC, Inc. Russia). The Russian government remained a key backer of the local startup ecosystem, with considerable support from such institutions as Skolkovo, the international tech hub at last close to completion on the outskirts of Moscow, and RVC, the state fund of funds dedicated to innovation. The renewed tensions with Russia did not affect much local startup activity. eSports startup DreamTeam involved Mangrove in its ICO, while local e-commerce leader Rozetka bought from Naspers a 56% stake in EVO Group. Most other deals involved small amounts from local funds or international crowdfunding campaigns, while larger amounts went to Ukrainian-founded startups established abroad (see below). US company DXC Technology intends to acquire Luxoft, a software development provider with Russian and Ukrainian roots, in a $2 billion deal. Given the political context, the Ukrainian government’s effort to support tech innovation appeared as very modest, with the announcement of a $1.3 million state-backed startup fund. In this country, startup investment activity was also modest in 2018, but often involved foreign investors. Belarusian fund VP Capital and Russian family office Larnabel Ventures made investments in two Belarusian startups: $7 million went to Banuba, which develops AR technologies for mobile apps, and $2 million were injected into Facemetrics, which works working on an AI-powered parental app. Period tracker app Flo completed a Series A round involving Mangrove Capital Partners (Luxembourg), Flint Capital (Russia) and Haxus (Belarus). On its side, Wargaming, the famous Belarusian game publisher, participated in a $16 million investment operation to make the tank battles of the World of Tanks available in virtual reality format. The Belarusian authorities did much to support the emergence of the startup ecosystem. A December 2017 law and a March 2018 decree created an unprecedented regulatory environment for the IT industry and related investment activity. No fewer than 264 IT companies were registered at Hi-Tech Park Belarus in the course of the year. In this Central Asian state known essentially for its natural resources, startup activity is becoming noticeable. In 2018 Clockster, which offers “a new way to clock-in and clock-out employees,” and Wunder, an online coding school, completed modest rounds of funding involving Russian and Singaporean investors, respectively, while 4G hotspot maker Nommi successfully completed a crowdfunding campaign. On its side, Chocolife, an e-commerce startup launched in the early 2010s with support from a Dutch business angel, was in the process of preparing an IPO. A five-year state program adopted in December 2017 aims to develop corporate innovation, e-government services, education and transportation technologies through 120 projects. In November 2018, in a bid to boost tech entrepreneurship and attract venture financing, the government opened Astana Hub and appointed a US tech entrepreneur, Joseph Ziegler, to head it. The most impressive deals of the year involved startups with roots in the region but having established themselves under a foreign jurisdiction (typically the USA or Western Europe). RealtimeBoard, a Russian-founded software publisher, raised $25 million in California, while Waves, a Russian-founded Blockchain solutions developer incorporated in Switzerland, secured $120 million to develop its project Vostok. Born in Russia but headquartered in Zurich, WayRay – a developer of an advanced car driving AR solution – completed a $80 million Series C round led by Porsche and China Merchants Capital. Snapchat wooed Teleport’s best developers. Russian state-owned fund of funds RVC announced plans to create 10 new funds to stimulate VC activity in the country, including a $100 million vehicle dedicated to education technologies. This review was prepared with participation from Mr. Alim Hamitov, Director at MOST Business Incubator(Almaty, Kazakhstan) and Mr. Nikolai Markovnik,General Manager at VP Capital (Minsk, Belarus and London). Last year, East-West Digital News published a research study about startup investment and innovation encompassing 24 countries of Central and Eastern Europe. You may download this document at no charge from this link.